As well as the internal disputes for control of the organization, the Sinaloa Cartel continues its fragmentation in court. The cases of El Mini Lic and the brother in law of El Chapo in the Federal Court of the South District of California, shows that the Department of Justice continues to dismantle the drug trafficking network and money laundering rings, although they still cannot locate Ismael El Mayo Zambada. While Joaquin El Chapo Guzman Loera continues his incarceration in a New York prison as the case goes slowly in court, the proceedings against his financial operators of the Sinaloa Cartel on the border of Baja California and California, to launder the money from the transit of tons of drugs, advance in the Court of the South District of California. In the last few months, at the Federal prison of San Diego, California, Damaso Lopez Serrano, El Mini Lic, Alvaro Lopez Nunez, son and brother, respectively, of Damaso Lopez Nunez, El Licenciado and Victor Manuel Felix Felix, El Senor, brother in law of El Chapo have arrived. The first two have been entered by the DEA after the fall of El Licenciado, who in May of 2017 was apprehended in a Federal Forces operation in Mexico City. 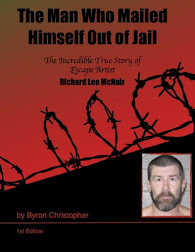 Three months after on the 27th of July, his son and principal collaborator, arrived the frontier of Calexico and Mexicali to surrender himself the the United States authorities. One month after, on the 18th of August, Alvaro Lopez Nunez younger brother of El Licenciado and uncle of El Mini Lic, did the same at the frontier of Nogales, Sonora. Both are accused by the Attorney General of the South District of California of narco trafficking and money laundering. In an audience a few days later, the public defender of Lopez Nunez told Judge Jill L Burkhardt that the request for asylum from the United States Government of his client was because "his family is being hunted down and killed", they were cornered. Unlike other members of the Sinaloa Cartel who had stepped into that Court, such as Serafin Zambada Ortiz, son of Ismael El Mayo Zambada, and Rodrigo Arechiga Gamboa, El Chino Antrax, who were persecuted until they were arrested, the Damaso's preferred to turn themselves in. For the Department of Justice of the United States, this represented a triumph. To announce that El Mini Lic is highest ranking Mexican Cartel leader that has decided to voluntarily surrender themselves to the justice system of the United States. Before the end of the year, on December 27th of 2017, El Mini Lic, signed the 15 pages that made up his plea agreement. After that Damaso Lopez Serrano stepped again into the District Court to plead guilty, on January the 10th 2018, to Judge Dana M Sabraw. The 29 year old from Sinaloa not only admitted the charges for conspiracy to import and distribute cocaine, heroin and methamphetamines, he also pleaded guilty to the charge of conspiracy to distribute cocaine, a charge from the Eastern District of Virginia. Both formal accusations were presented in 2016. According to the indictment, El Mini Lic, entered the drug trafficking business at 15 years of age. Since 2003, the District Attorneys Office of the Eastern District of Virginia documented how the son of El Licenciado was in charge of coordinating the supervising cocaine shipments to Mexico, Colombia, Costa Rica, Honduras, Guatemala, and Panama, until those shipments arrived in the United States. Regarding the accusation of California, named in it are "El Mini Lic" along with Nahum Abraham Sicairos-Montalvo "El Quinceañero" and his uncle Álvaro López Núñez, who is waiting to return to the Court. "El Quinceañero" was stopped in the middle of a strong operation in Mexico City, in July of 2017, four days after "El Mini Lic" was delivered in California. For years he was the main financial operator of the son of "El Licenciado" and one of the most trusted members of the Sinaloa Cartel. In the document presented before the Court, "El Mini Lic" also admits having carried firearms "with the purpose of promoting the activities associated with the drug trafficking carried out by the Sinaloa Cartel". And as part of the agreement, he agreed to deliver one million dollars to the US government, an amount that is a direct or indirect result of the illicit activities that it carried out. 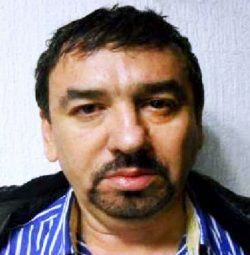 López Serrano admitted being one of the leaders of the Sinaloa Cartel and devoted himself mainly to the tasks of coordinating and organizing the transport and distribution of tons of drugs, including methamphetamines, cocaine and heroin from Mexico to the United States, with California being one of the main points of entry. If he had not pleaded guilty, "El Mini Lic" could have received up to one sentence of life imprisonment, but given that he collaborated in the case, he could receive a minimum of 10 years in prison, in addition to paying a fine of 10 million dollars . The Deputy Attorney General, John P. Cronan, of the Division of Crimes of the Department of Justice, considered that the sentence against "El Mini Lic" - whose first hearing is scheduled for July 12 - "represents a serious setback to the leadership of the Sinaloa Cartel and the violent activities associated with drug trafficking that they carry out. " On December 18, 2017, Víctor Manuel Félix Félix, nicknamed "El Señor", arrived in San Diego, California, after almost seven years of being arrested in Mexico. Since then, he has remained in a cell isolated from the rest of the population, said his lawyer Guadalupe Valencia. On January 16, in red prison uniform, without a beard or mustache and with hair almost bald, Felix Felix stepped into the courtroom of Judge Marilyn Huff to stand next to his private lawyer. "What's up? ", He said in Spanish with a smile to the litigant and immediately he was placed a set of headphones and microphone by the interpreter who would translate what would be spoken in that Court. Without handcuffs, but with one hand on his wrist behind his back, the 60-year-old man had a federal agent guarding him behind at all times. Guadalupe Valencia presented in a hearing that had just been given a hard drive with the evidence that the Prosecutor would present against her client, so she requested a period of 60 days to review it and be able to return to the Court. 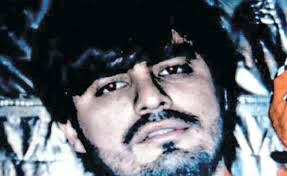 The prosecutor in the case supported the request, as well as the defense's request that the case be declared complex. For years, according to the accusation against him, "El Señor" acted as financial operator of "El Chapo". In addition, Jesús Alfredo Guzmán Salazar, son of the drug trafficker with María Alejandrina Salazar Hernández, who is married to the daughter of Félix Félix. Guzmán Loera's brother in law is formally accused of conspiracy to launder money and import and distribute cocaine. His arrest stemmed from an investigation begun in 2009, in Southern California, by the DEA that included an undercover agent who made deals with Felix Felix to launder money from the Sinaloa Cartel and transport drug shipments from Central America. After two years of documenting the modus operandi of the Sinaloa Cartel through text messages, emails and phone calls, the agent of the DEA Specialized Technical Group tracked laundered money to almost the tune of five million dollars, while entrusting shipments of tons of cocaine. The main operations of this network led by Felix Felix were established in Panama, Ecuador, Mexico and cities in the United States, such as Los Angeles, California; New York, New York; Houston Texas; Chicago, Illinois, and the cities of Vancouver and Montreal in Canada. With the collected evidence, it was possible to identify 36 members of the Sinaloa Cartel who man now face the same accusation that was made against "El Señor", another 28 people were charged with the criminal association charge, conspiracy to distribute cocaine and conspiracy to launder money. In the second hearing of Felix Felix, since his extradition to the United States, Judge Huff also agreed to declare the case as complex and set the following hearing for Monday, March 26 in the afternoon. However, for years, the US government sought to dismantle the networks of money laundering of the in-law of "El Chapo", even when he was already incarcerated. In 2012, a year after his capture, "El Señor" was designated by the US Treasury Department on its list of drug traffickers, which freezes the assets they have in that country and prohibits its citizens from engaging in economic and commercial relations with them. From Guadalajara and Mexico City, Félix Félix commanded the money laundering cells for "El Chapo," so US authorities identified Jorge Guillermo González Cárdenas, Óscar Domínguez Villa Díaz, Rigoberto Días Paniagua and Gabriela Vázquez Villavicencio, as its main operators. The US government located the homes of Felix Félix, who also used the name Raúl Castro Rodríguez, in Zapopan, Jalisco; Culiacán, Sinaloa; Mexicali, Baja California and the Benito Juárez delegation in Mexico City. 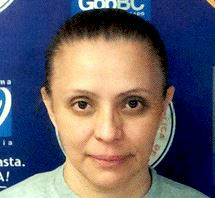 In October 2012, Gabriela Vázquez Villavicencio left the Social Rehabilitation Center (Cereso) in Mexicali, where she had been held for crimes against health and money laundering. However, as soon as she was released, agents of the State Preventive Police (PEP) proceeded to detain her, as she had an arrest warrant for the purpose of extradition to the United States for criminal association and money trafficking. According to information consulted by ZETA , in the US federal penitentiary system, today's 52-year-old woman was released from prison in December 2016, almost a year before "El Señor" was extradited. The same thing happened with Rigoberto Días Paniagua, who was released in August 2016. Both Paniagua, Óscar Domínguez Villa Díaz, José Benjamín Valdez Bernal, Efraín Días Paniagua and Luis Horacio Ramírez de Arellano Morales were extradited from Mexico to California. September 2012. 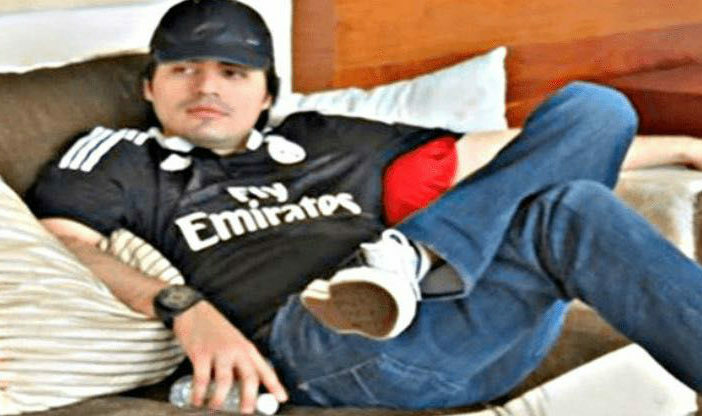 While Víctor Manuel Félix Beltrán "El Vic", son of "El Señor", is still waiting to be extradited to the United States since he was arrested on October 26, 2017, in a luxurious development of Santa Fe, within the City from Mexico. "El Vic" is identified, as well as his father, as the financial operator of the Sinaloa Cartel and specifically the children of "El Chapo" Guzmán. He is charged in the Illinois District Court on charges including conspiracy to distribute marijuana, cocaine, heroin and methamphetamine, along with Ismael "El Mayo" Zambada and "El Chapo." If Damasos had money neither would be locked up. Mini had to turn himself in.....he was broke. Everything they had, was lost when their coup failed. Chapitos and CJNG were very quick to swallow up all their business. Damaso and son 25- life....nothing less. They have nothing more to offer. Great story Otis. That will be more people to snitch on el chspo as usual , but then again those narcos don't have any loyalty with each other. This aint no hit for CDS. Yeah these Damasos might now how drugs are shipped as well as some routes where they pass but these guys wont give up locations as far as finding other big shots within CDS. Did'nt another article here in BB say around 120 plus leaders or associates within CDS where squaled on by guys like this and yet no mention of any captures? This guy has been in jail for at least a year meaning he probably named names since at possibly then. It is all a show as far as bringing CDS down. Not everything makes the news. Chapo snitched out 100s of his associates who were top dogs, reason why there was so many articles following his arrest. It takes time buddy. A few years down whoever is captured will have a nice mountain of charges against them. So, Chapo snitched out 100's???? Who? Where's all the busts of these big hitters he turned in? Damaso? His kid? Where's the reports of busts credited to Chapo? If Mini and Daddy ratted out 100's, where's the big dogs arrests, or executions??? If you rat on guys with impunity and protection, while you're in jail, and they know you're just throwing names out to get a lighter stretch, do the cops even follow up? All I read is everyone snitches, but very few busts.....just weird to me. I remember when Escobar was killed and the DEA/FBI etc. came out with a similar rant AAAAAAND what happened? Drug sales and consumption has exploded! We got more and cheaper drugs than EVER before and in 5 years it will be worse UNLESS we really abandon the wastefull war on drugs. 5:56 Pablo Escobar lost, but former Presidente de Colombia lic. ALVARO URIBE VELEZ got it all and is now a billionaire with impunity granted by the big parna, the US, that recovered its business from La Pabla and now owns Colombia with all its military bases, ALVARO URIBE is also TIGHTLIKE THIS with EPN who used his Colombian hackers to help himself steal the Mexican presidency...those narco-politicians are the worst kind of partners and human beings. A white man said it best, "all we are, are rich slaves in the United States" The only thing the govt wants is money...plain and simple. They don't care whether it's from legal or illegal money. If it's a legitimate business they send the IRS, if it's illegal business they send the DOJ. Lmao straight up, uncle Sam wants his cut and his enforcers stop at nothing to collect. The brother in law so it's Chapo's sisters husband telling on him? Nice article Otis! Any news or speculation on ML cousin, The Hare? Hi Mica, I have neither heard nor read anything about him since Mini Lic gave himself up. I suspect that one of two things have happened, if hes smart he went to the USA and is hiding in some small town in the boonies, or he's taking a dirt nap somewhere close to the border, from which hes unlikely to wake up. I know a squealer when I see one.. mini lic has the face of a squealer.. Funny how that works ay? 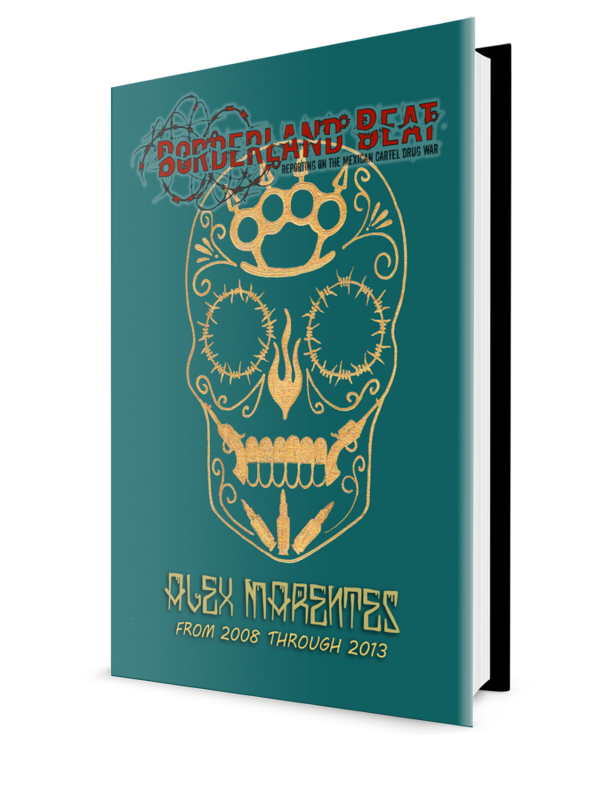 Let's face it, what we are seeing with the Sinaloa Cartel, we saw with the Medellin Cartel, the Cali Cartel, the Gulf Cartel, the Tijuana Cartel, the Los Zetas Cartel. This is nothing new. It is their fall from the top. While the Jalisco Cartel is moving into the top spot, within 7-10 years, El Mencho will be captured and the Jalisco Cartel will be disposed of. But, there will be another cartel replace them. This is a vicious cycle. These guys can't reign forever. Yep. The good ole history reapeats itself trick. You want to see into the future? Learn history.